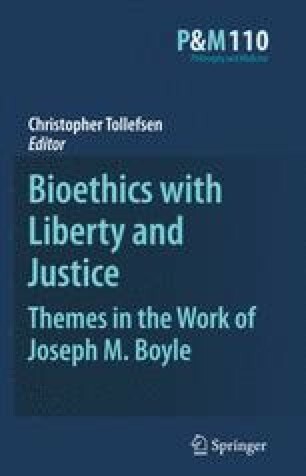 I should like to begin this response by expressing my gratitude to Christopher Tollefsen and to the authors of the contributions for the attention and respect they show my work by preparing these papers and including them in this collection. They honor me and I thank them. I was surprised by the undertaking when told about it, and I have been regretfully slow to respond.